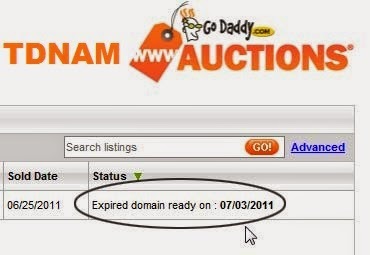 TDNAM is the GoDaddy marketplace where expired or already registered domain names go for sale. How to Buy Expired Domain name from GoDaddy TDNAM ? Go to GoDaddy.com and register or Directly go to TDNAM.com. Narrow your search using search function. When you win a bid you have to pay 10$ processing fee. it requires 5$ membership to sell domains. Search by category and see related domains. Use tab to see upto 500 domains on a page.